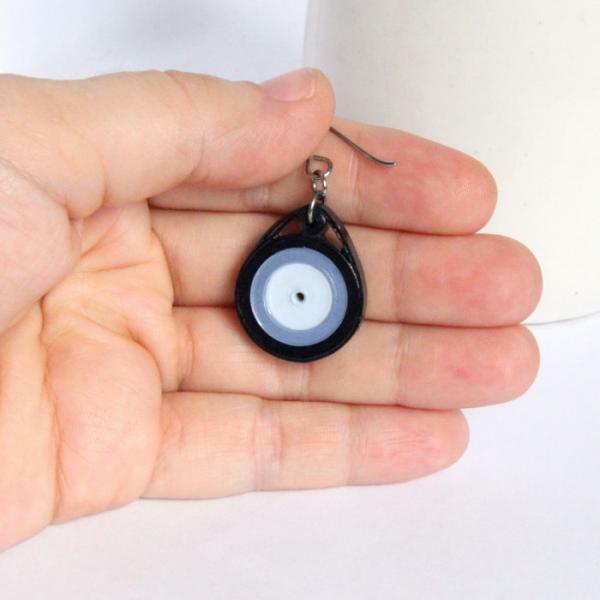 Classy and cool, these eco-friendly multi blue colored circle earrings are sure to get noticed! They are handmade by paper quilling with specialty paper in sky, cadet, and navy blue. I love that they look like little wood slices. In fact, this is one of my sturdiest styles of earrings and at craft markets they often ARE mistaken for being made out of wood! The earrings are hand varnished in several layers with non-toxic water-based sealants for a very sturdy and water resistant finish.